Endless green paddy fields under a blue-grey sky, rivers, and streams meandering their way through the plains and the misty backdrop of the magnificent Western Ghats – Palakkad is a nature lover’s absolute paradise. Palakkad lies around 60 km to the southwest of Coimbatore. Palakkad’s name has evolved over centuries. 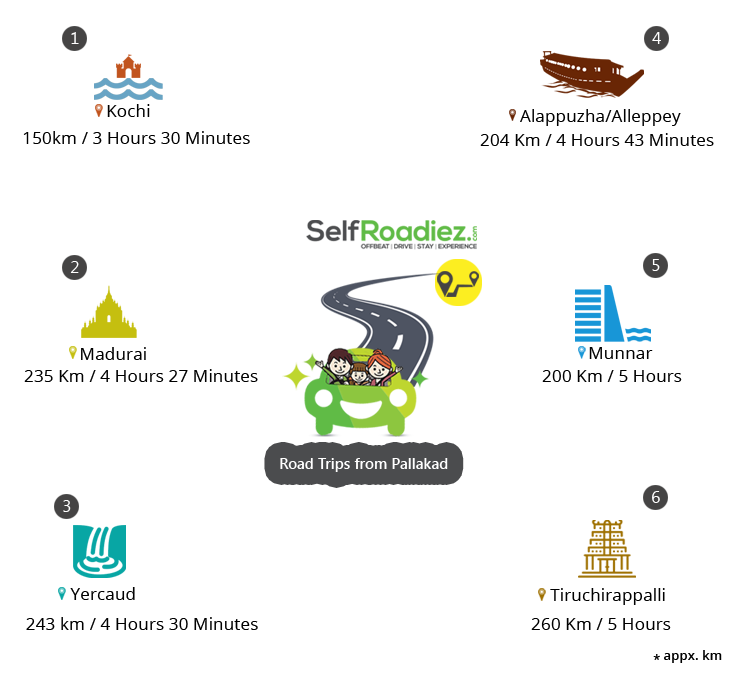 In historic times, Palakkad was also known as ‘Palakkattussery’. Palakkad’s etymology can also be traced back to the word ‘Palanilam’, which means ‘the drylands’. However, the commonly held and widely accepted belief is that Palakkad’s name is a combination of two Malayalam words ‘Pala’ (a tree, a.k.a. Alstonia scholaris, found abundantly and commonly in Palakkad) and ‘Kadu’, which means forests. Some texts also say that “Pala’ was the name given to the barren lands during the Sangam period. Palakkad is also famously known as the ‘Gateway to Kerala’ due to the presence of the Palakkad Gap in the Western Ghats, located between the Nilgiris and Anaimalai hills. This geographical formation played a significant role in the migration of people from parts of Tamil Nadu into Kerala. It was also responsible for assisting the great Cheras to rule Kerala in entirety as well as Kongu Nadu as one single region. The fact that they did so for a long time period from 300 BC to the 13th century AD and from their capital, Karur in Western Tamil Nadu speaks volumes about the importance of the Palakkad Gap. Between the 15th and 18th century, Tamil Brahmins migrated from central Tamil Nadu to Palakkad via the Gap. Palakkad is known for its rice and paddy fields, due to which it earned the moniker of the ‘Rice Bowl of Kerala’. 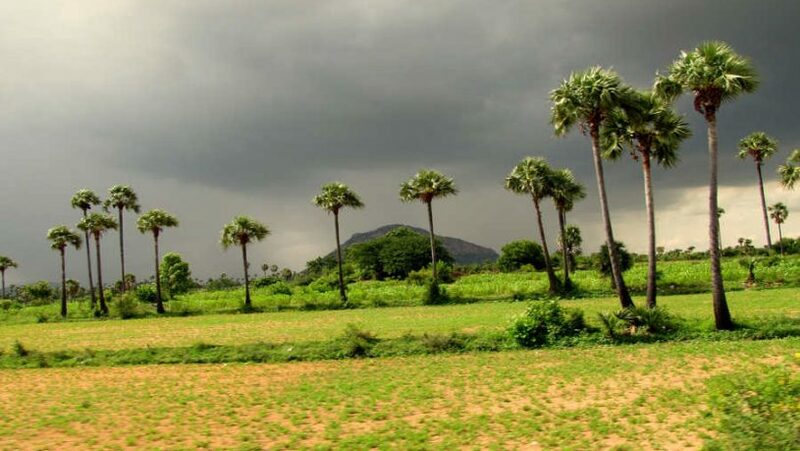 These paddy fields became a part of the Malabar District of the Madras Presidency during the British rule in India, after which the region came under the purview of the Madras State after Independence. When Kerala was made into a separate state in 1956, Palakkad became a separate district of the state. The months between September and February are the best times to visit Palakkad when the temperatures remain between 17 and 28 degrees Celsius. The nearest airport is Cochin International Airport around 112 km away. Palakkad Junction Railway Station lies just outside of the main town. The Dutch, medieval Portuguese, British, and Indian cultures create an effusive blend in Kochi – the Queen of the Arabian Sea. Kochi is famous for being a great center for Keralan arts. The city is known to be one of the best places in India to experience two of Kerala’s biggest jewels – the classical dance Kathakali and the martial arts form Kalaripayattu. Travelers can visit the Mattancherry Palace to get a taste of Kochi’s royal history. One can also visit the Paradesi Synagogue, the St. Francis Church and the Santa Cruz Basilica to get a taste of Kochi’s different cultures, as well as the Maritime and Folklore museums and the Indo-Portuguese Museum. Munnar lies in the lap of the Kannan Devan Hills, South India’s largest tea-growing regions. Munnar is ideally located at the confluence of the Rivers Mudhirapuzha, Kundaly and Nallathanni in Kerala’s Idukki district and attracts all kinds of travelers. The hill station is a haven for adventure-hungry travelers and culture enthusiasts and attractions include trekking trips, hikes through the dense jungles, glimpsing endangered wildlife in Eravikulam National Park and paragliding. One can also visit the many tea plantations and the century-old renowned Christ Church, which is adorned with stained glass. Madurai is famously known as the ‘Athens of the East’. The temple town is famous for having been a great former trading metropolis, currently driven by an IT economy. Madurai is also associated with the great Tamil Sangam, a significant congregation of Tamil scholars, as well as the Tamil language. Madurai has a rich cultural and historical heritage due to it having been ruled by many kingdoms – the Mauryas, Greeks, Cholas, Pandyas, the Vijayanagar Dynasty, the Carnatic kingdom and the Madurai Nayaks and the British. Travellers can check out places such as the Tirumalai Nayak Palace, the famous Meenakshi Amman Temple, St. Mary’s Cathedral Church, Ayiram Kaal Mandapam, the Pazhamudir Solai and the Gandhi Museum, among others. Yercaud lies in the Eastern Ghats and is swathed in hues of green and blue, earning it the moniker of the ‘Jewel of the South’. Travelers can enjoy a spot of boating and fishing in the Yercaud lake. They can enjoy scenic views from Pagoda Point and Lady’s Seat. One can also visit Anna Park, Kottachedu teak forest, Deer Park and Bears Cave, Rose Garden, Silk Farm and the Kiliyur Waterfalls. Tiruchirappalli or Trichy, as it was called, is Tamil Nadu’s 22 centuries-old culturally, historically and geographically important town. Trichy’s name is dedicated to the main deity of the Srirangam temple in town and comes from the words ‘Tiru’ (address someone with respect) and ‘Chirapalli’ (sleep on the head). Trichy has a long history of having been ruled by many dynasties – the Pandyas, Cholas and the Pallavas, Vijayanagar dynasty, and the Nayaka and the Carnatic state before finally being ruled by the British. Trichy is also famously home to some the country’s premier educational institutions such as the NITT, IIMT, and IIT. Travelers can also check out the Kalanai dam, the Ranganathaswamy and the Rockfort temples. Rustic, tranquil, watery – Alappuzha is the dreamer’s paradise. The verdant, graceful Alleppey is popularly known as the ‘Venice of India’ because it is the kernel of Kerala’s backwaters and home to thousands of houseboats. One can cycle through Alleppey’s villages and its tiny bylanes to get a taste of the local life and nature, stroll across the green rice and paddy fields to experience the rustic village life or even stay on houseboats and go boating in canoes to experience the maze of backwaters that make up the backbone of Alleppey. On terra firma, travelers can visit the Alleppey and Marari beaches, the St. Mary Forane and Arthunkal churches, the Krishnapuram Palace and the Ambalapuzha temple. Places to see in Palakkad include the Parambikulam Wildlife Sanctuary, Palakkad Fort, Malampuzha Dam, Kalpathy temple, Seethargundu viewpoint, Tipu Sultan Fort, and the Malampuzha Rock Garden among many others. Palakkad has a mixed bag of accommodation, including luxurious and mid-range hotels, and guesthouses, suiting every kind of tourist that visits the city. This Retreat In Palakkad allows you to enjoy the beauty of this wonderful destination even as you experience the benefits of Ayurvedic healing. Located amidst the sweet-scented forests the Ayurvedic Retreat In Palakkad is a 50-acre green refuge of absolute tranquility. Established in 1999, this is a healing village that is designed to be the first-of-its-kind in the whole world. A one-of-its-kind heritage complex, the Traditional Homestay In Palakkad spreads over 20 acres. It is an eco-friendly feudal Namboothiri house that boasts of a typical Kerala style architecture. The main building of this 300-year-old house comprises of eight structures with two open quadrangles. Accommodation at this homestay is about comfort and relaxation. There are three rooms available for the guests: the Double Room, the Family Room, and the Suite Like Large Room. Since it largely has a traditional Brahmin culture, Palakkad’s cuisine is more traditionally Tamil-vegetarian, rather than Malabar cuisine. For those travelers wishing to explore the southern bits of India, Palakkad is a great place to start off with and is an unmissable stopover on a traveler’s southern Indian sojourn. We find PLACES that are UNCROWDED, has a story to EXPLORE, gets your nerves to RELAX, lets you CONNECT to your roots and simply lets you have a FABULOUS DRIVE HOLIDAY with your loved ones around.